by Nathan Whatley, Esq. and Philip R. Bruce, Esq. Prominent Oklahoma attorneys, Nathan Whatley, Esq. and Philip R. Bruce, Esq., have drawn from their extensive experience to bring you strategies and forms for virtually every employment situation you or your client may encounter, from the hiring process through the termination of an employment relationship, and finally the handling of dispute resolution. You’ll find it all in this definitive Manual which features a bonus CD with over 225 electronic forms. 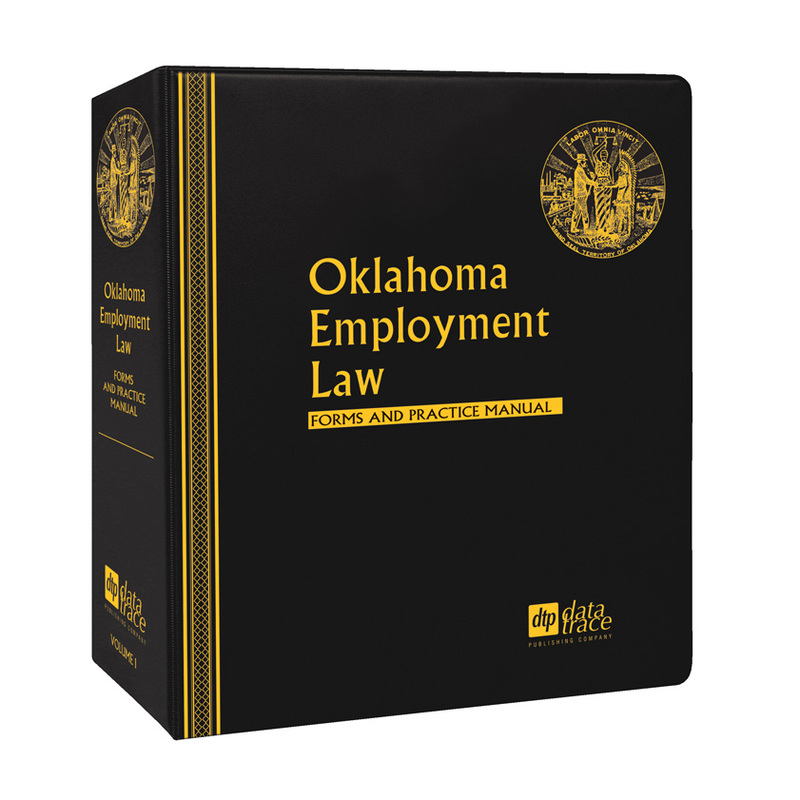 With more than 750 pages of valuable content, you’ll stay current with appropriate statutes and regulations – complemented by thorough discussions and analyses of any changing federal and Oklahoma state laws. Throughout the publication, you’ll find checklists of issues for consideration, sample policies and procedures, draft employment contracts and separation agreements as well as pertinent government and other published forms to help you develop the best employment practices and policies. Plus, you’ll be expertly guided through the extensive selection of employment forms using an easy-to-follow format. All of the forms in the Manual conveniently provided on the accompanying CD for your immediate use. Nathan Whatley, Esq., a shareholder in McAfee & Taft, represents management in all phases of litigation before federal and state courts, regulatory and administrative agencies and in arbitration matters. He also handles litigation matters involving the enforcement of noncompetition and confidentiality agreements, breach of employment contracts, handbook and personnel policy violations, wage and hour disputes, and other issues arising out of employer/employee relationships. Mr. Whatley routinely counsels clients in connection with employee discipline, terminations and reductions-in-force, wage and hour issues, handbooks and policies, drug and alcohol programs, executive compensation, employment and non-competition agreements, and individual and group severance programs and related matters. He provides training to management and non-management employees in all areas affecting the employer/employee relationship and regularly conducts on-site client training in areas such as sexual harassment, drug and alcohol testing, employee leave and disability, and EEOC compliance and investigation. Mr. Whatley is a frequent speaker on a variety of labor and employment topics, has written articles for both the Oklahoma Law Review and the Oklahoma Bar Journal, and has authored White Papers for the Society for Human Resource Management. He received his B.A. (with highest honors) from the University of Oklahoma and his J.D. (with highest honors and Order of the Coif) also from the University of Oklahoma. Philip R. Bruce, Esq., is an attorney at McAfee & Taft in Oklahoma City. He counsels and represents employers exclusively in all aspects of labor and employment law, including matters involving wage and hour law, nonsolicitation agreements, employee handbook policies and procedures, discipline and termination, drug and alcohol testing, medical and disability leave, litigation avoidance, and compliance with a myriad of state and federal laws. He also defends employers in state and federal courts, before administrative agencies, and in arbitration against claims of workplace harassment, Title VII employment discrimination, and other wrongful discharge and retaliation claims. 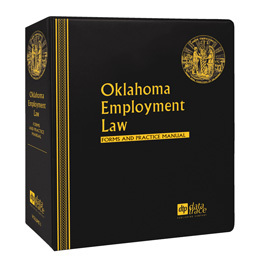 Phil also serves as a contributing author to the Oklahoma Employment Law Letter and EmployerLINC.com. He is a 2011 honors graduate from the University of Oklahoma College of Law, where he served on the editorial board of the Oklahoma Law Review and was the recipient of the Gene H. and Jo Ann Sharp Outstanding Editor Award.